Lagoon area July 31, 2012. 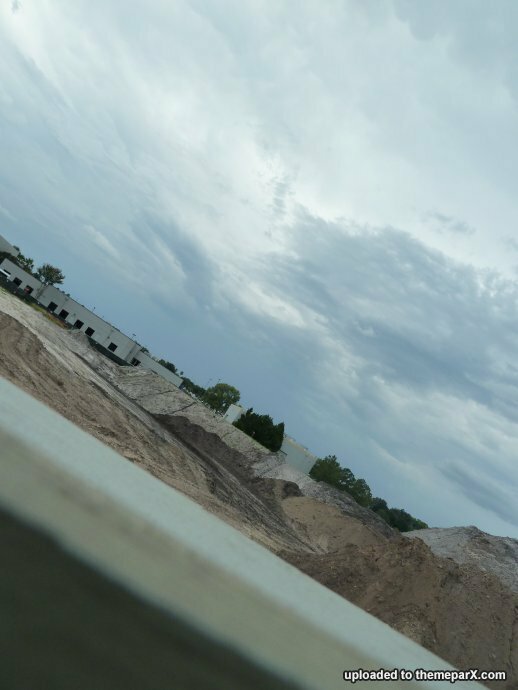 This is a shot taken from across the lagoon. Noticed the "Oscar's" sign isn't in earlier pictures. 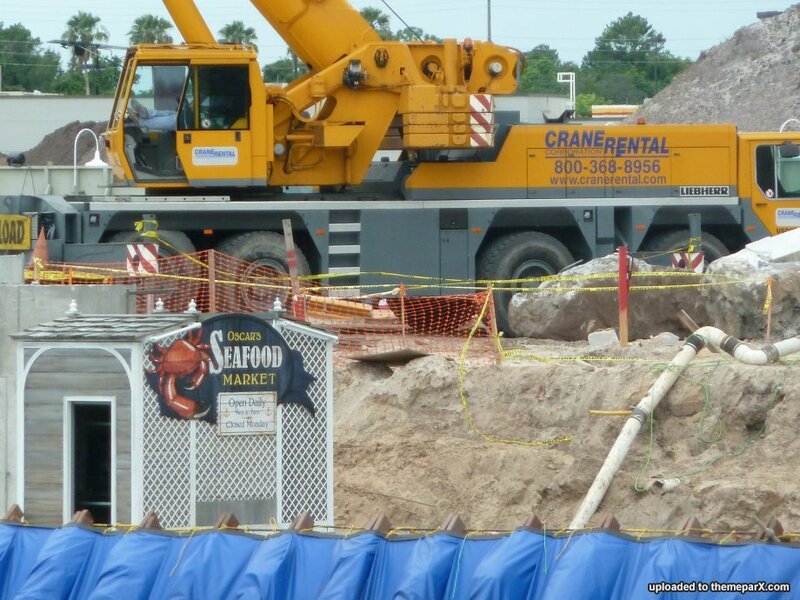 I thought the "Oscar's" sign meant the project would be a seafood restaurant, but now I realize it is most likely an Amity artifact. Still sending it anyways in case you think otherwise. Close profitable lodging in order to keep a ride that is over 20 years old? You did see the kind of guest counts the original opening of the WWoHP area brought, right? If the Hogwarts Express rumor is true, this will be a huge draw for fans. Universal Orlando finally, though inadvertently, revealed they’re going to link their two Central Florida theme parks with a new transit attraction. 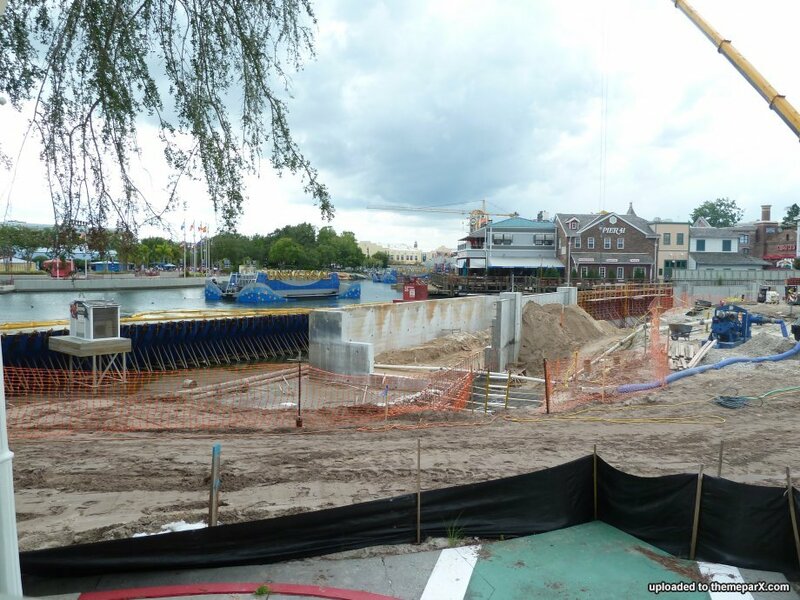 Their filings with the water management district show locations within both Islands of Adventure and Universal Orlando which are part of a larger overall project to construct what is rumored to be a simulation of the famed Hogwarts Express. 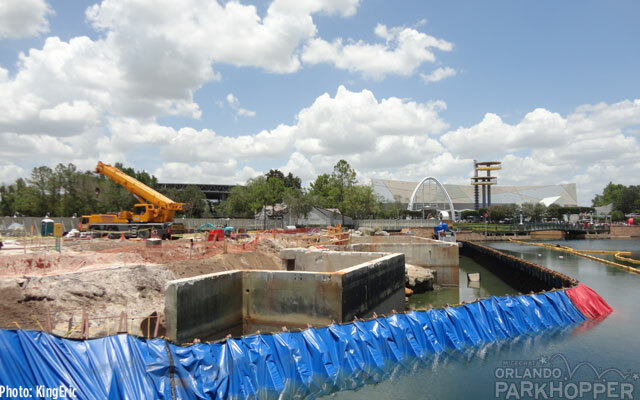 The filings are for the dewatering of retention ponds amid the track of the Dragon Challenge coasters at Islands of Adventure and the service road just south of the old Jaws attraction in Universal Studios Orlando. The Dragon Challenge site plans were originally thought to be explicit enough to include a blatant outline for a train station, but those lines in the drawing are actually for the pump heads to remove the water from the pond and the surrounding silt fence. Neil Lamont, art director for the first six Harry Potter films, revealed at the round table interviews at Warner Bros Studio Tour London - The Making of Harry Potter on Thursday that he and production designer Stuart Craig are nearly done wrapping up a 'project' for Universal Studios Resorts in Orlando. 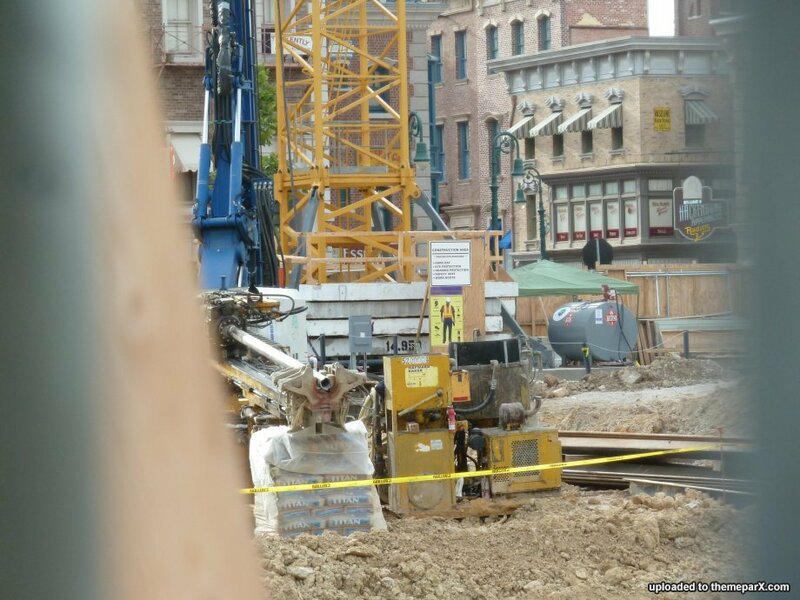 This more than likely references to final designs and plans of the Wizarding World of Harry Potter expansion, also called Phase II of the theme park, or the rumoured "Project 722." Lamont (photographed below behind Jany Temime, and between David Yates and Tom Felton), along with Alan Gilmore who helped design the currently-open Wizarding World theme park, are supervising art directors for the expansion set to open within the next few years, under head production designer Craig.